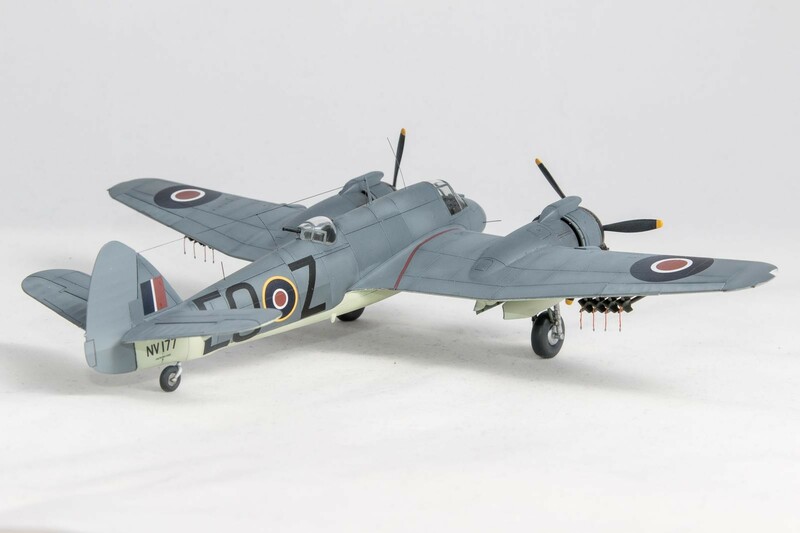 These photos show my Airfix 1/72 Beaufighter which represents one of the aircraft that took part in the attack on Z-33 on the 9th of February 1945, if I recall correctly this one made it back. 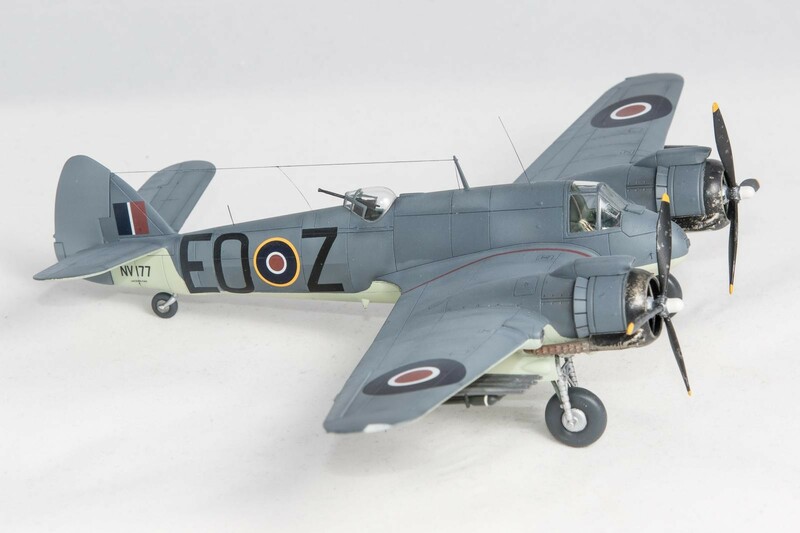 As for the kit, well what can I say apart from I really enjoyed making it and would recommend it to anyone; the only thing you should watch out for are the engine/cowlings. Assemble the cowlings parts separate to the engines and then file the engine cylinder heads till the engine slides into the cowling, the instructions would have you building the the cowling parts onto the engine. Never woulda guessed 72nd scale – outstanding! 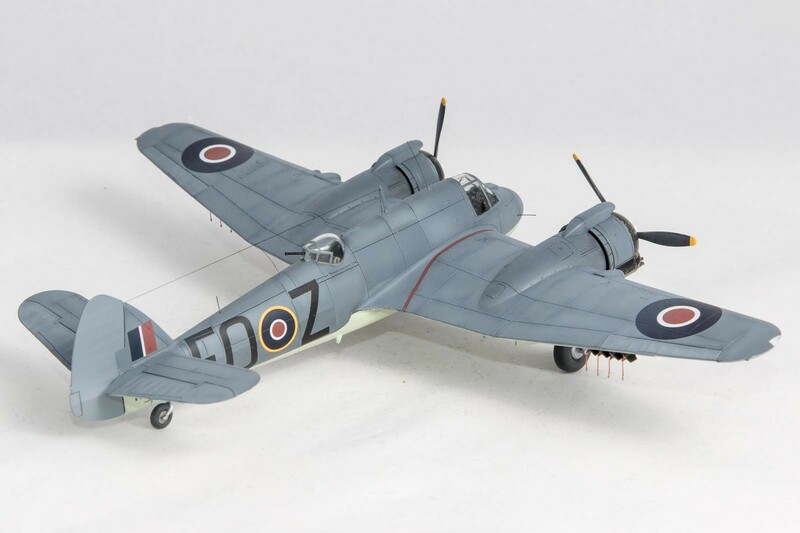 Craig, thank you for your comments, pleased with the model myself as it was the firsts 1/72 I had made in about 15 years. Good timing posting your Beau…its a gem! Pedro, Thank you, glad you liked it. Who would have thought we’d have two posts about ‘Black Friday’ on the anniversary – I was so pleased to see this! This is a great build that is beautifully presented. Would be nice to see more photos, Peter. You asked for some more photos, I hope you like these. Thanks, Peter. I love the panel work (some of the best I’ve seen here) and the interest you’ve managed to get into a very monochromatic scheme. It is a superb build. just in case you are interested the decals came from a”Black Friday” set by Aviaeology, the information sheets that come with the decals are excellent and informs you about repainted areas and such like. 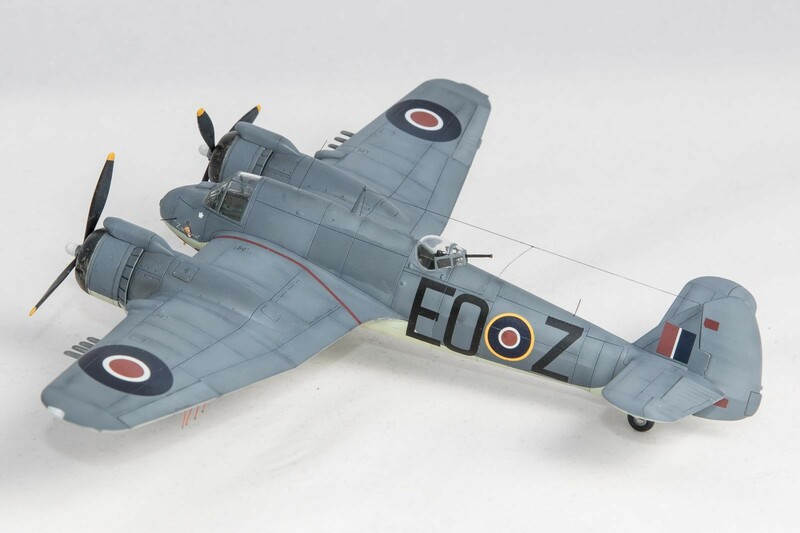 On my model you can see a darker area of grey above the wings which indicates the area the original aircraft numbers ( Squadron Codes I think) were located, also under the “New” codes you can see where the underside invasion stripes have been painted out, there is also a different shade of “Sky” on the underside, finally the area at the rear of the canopy is slightly darker as apparently the “Anti Freeze” screen wash stained the paint in this area. 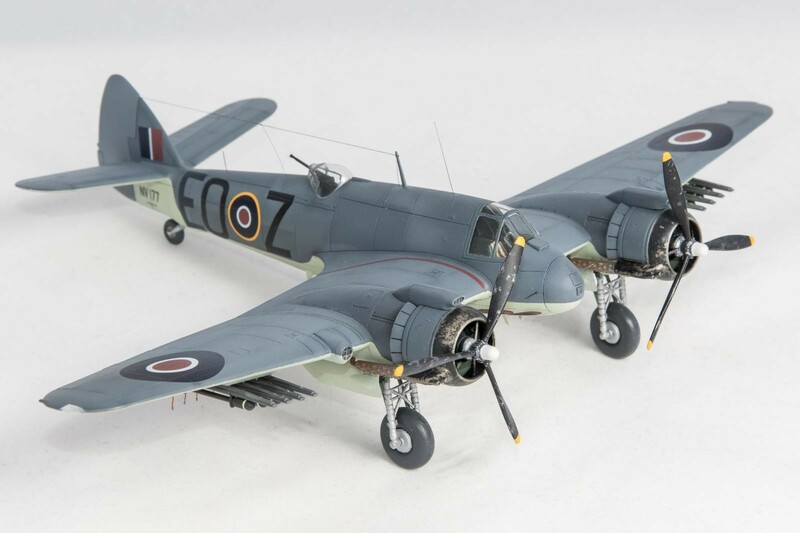 That would be a great build at any scale, but at 1/72, it’s sort of unbelievable. Great attention to detail, but nicely restrained too. 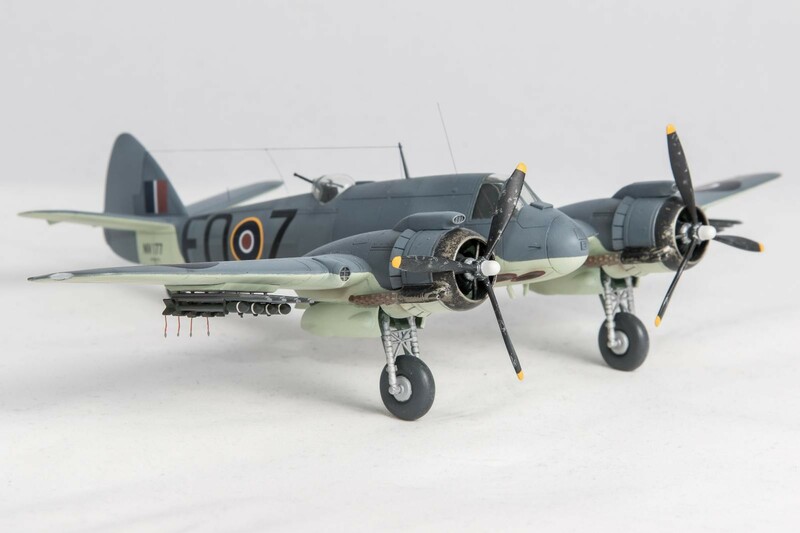 I completely agree with you on how nice this Airfix Beaufighter is. I think it’s the best in any scale myself. 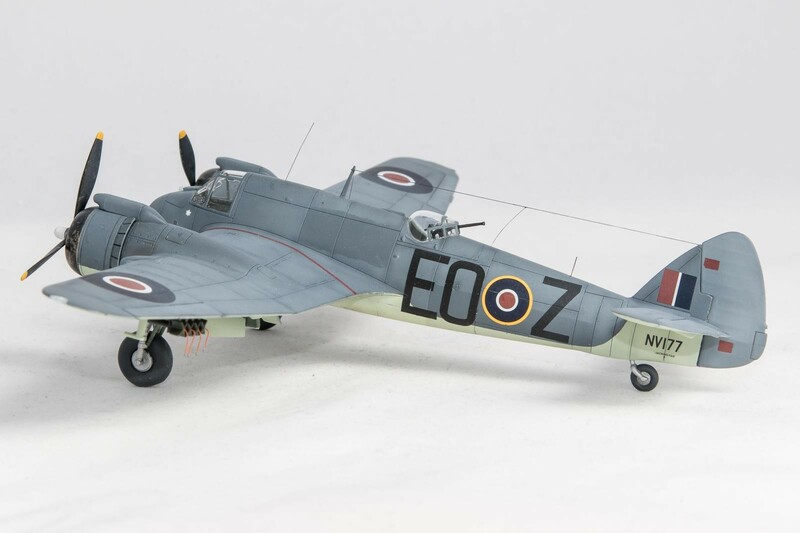 Love your paintwork – great weathering and attention to detail in the overpainting. 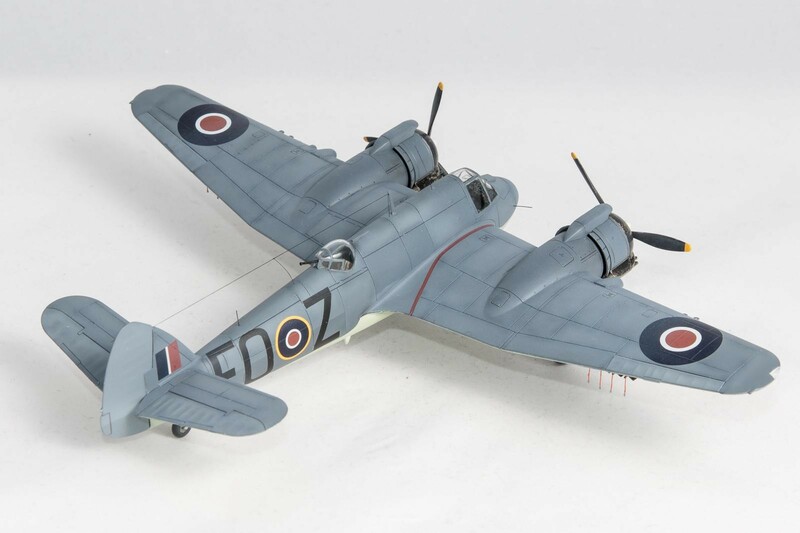 Peter, A very nice looking Beaufighter, I really like your use of different grey shades on the upper surface. Makes for a very nice realistic look. I like it a lot ! Very nice build! 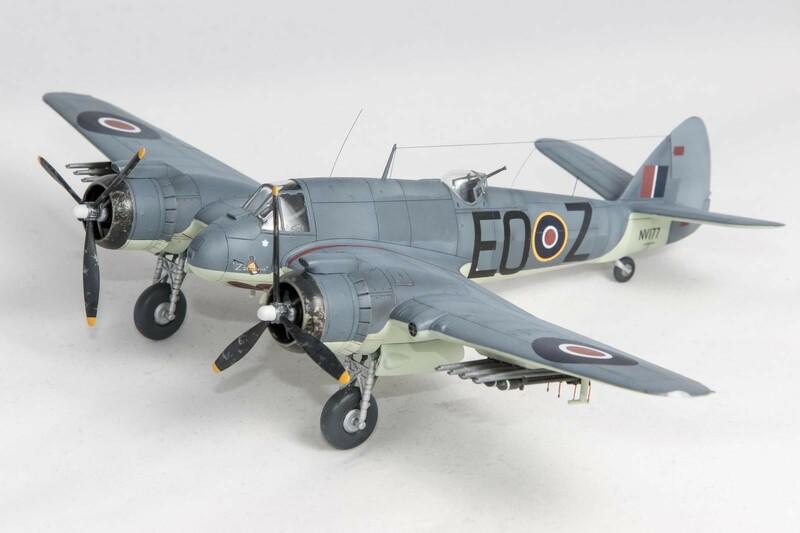 I work mainly in the same, 1:72 scale, and I should take a look on this kit from Airfix. It looks really nice, and your build is very well done. Some real strong work on this kit. Peter, I really like what you’ve done with the props and cowlings. The little added touches with the rockets and wiring harnesses are those little details that make this kit stand out. Also, thank you for providing more photos…when you’ve got it, flaunt it. That’s a beautiful Beau! I’m going to have to get one of those kits… I really like the realistic finish you got on this. knowing your skills, this beautiful Beau is no surprise to me, but certainly a feast for the eyes! Very well done my friend! I always fancied ”two engines closely followed by the airplane” but never built one. This is a perfect inspiration for anyone who likes this machine.